FORT BRAGG, N.C. — The Army general who ordered Sgt. 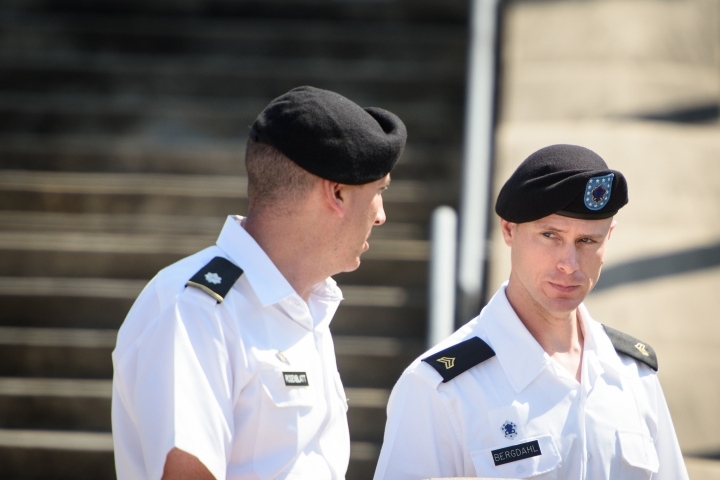 Bowe Bergdahl's court martial testified Wednesday that he wasn't swayed by negative comments from a powerful U.S. senator, saying that he takes his duty "very, very seriously." Gen. Robert B. Abrams, the four-star head of U.S. Army Forces Command, found himself in the unusual position of defending his objectivity against a defense effort to remove him from the case. Abrams referred the case to a general court-martial rather than a lower-level tribunal in December, weeks after U.S. Sen. John McCain indicated there would be repercussions if Bergdahl weren't punished. Wearing a short-sleeved white dress shirt and blue pants, Abrams asked a prosecutor curtly "Where do you want me?" as he strode toward the witness stand. He grew testy when a defense attorney asked him to explain why he wasn't afraid of McCain, who leads a Senate committee with the power to approve or scuttle assignments for top military commanders. "I have served my country for 34 years. I am at the highest rank I am ever going to attain," he replied, adding that he has a mandate to ensure a fair trial for Bergdahl. "I take that duty and responsibility very, very seriously." Addressing defense attorney William Helixon as "counselor," Abrams added, "Up to this point no one — and I mean no one — has tried to influence me in any way." In two motions, the defense had questioned whether Abrams faced improper conflicts. 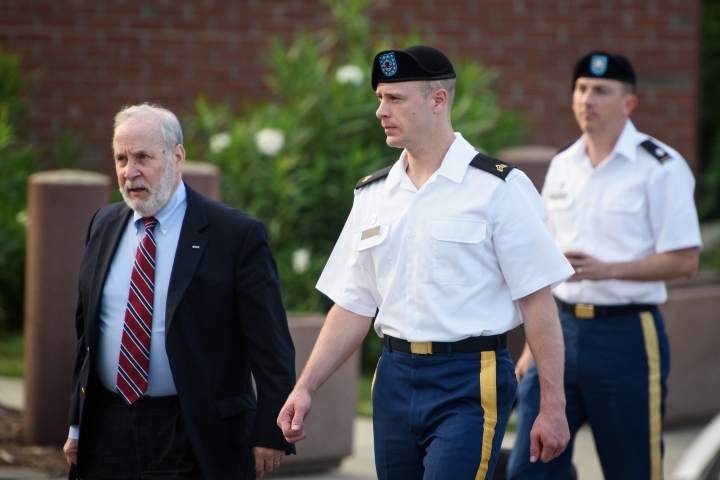 The judge, Army Col. Jeffery Nance, ordered Abrams to testify because of a reference in one of the motions to the general destroying dozens of letters from Bergdahl supporters and critics. It's unusual for a four-star general to testify in a court-martial hearing, said Eric Carpenter, a former Army lawyer who teaches law at Florida International University. The defense motion to disqualify Abrams cites his prior role advising former U.S. Defense Secretary Chuck Hagel during efforts to return Bergdahl from captivity. It also raises questions about whether Abrams considered defense objections to the findings of a preliminary hearing. If granted, a disqualification would allow a different commander to decide whether a court-martial is needed. Abrams said he wasn't influenced by the letters and none came from government officials, current service members or anyone with firsthand knowledge. "I can tune out all of that outside noise because I understand my duty and my accountability," he said. The judge, who called the superior officer "Sir," then turned to McCain's comments. In October 2015, McCain told a reporter that if Bergdahl wasn't punished, "... we're going to have to have a hearing in the Senate Armed Services Committee." 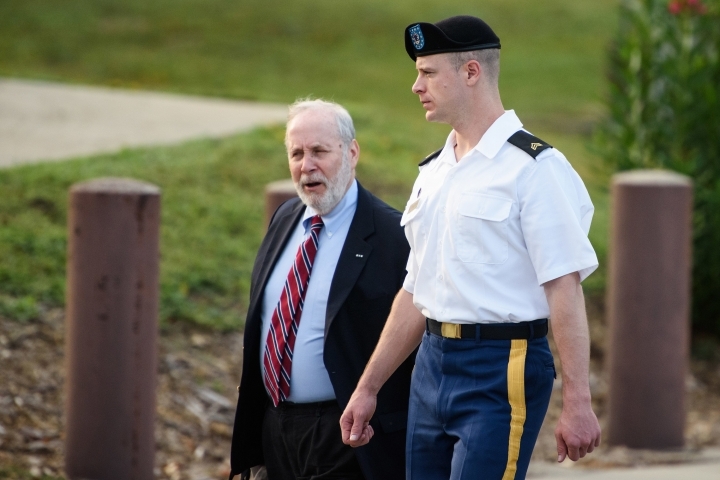 Weeks later, Abrams sent Bergdahl's case to a general court-martial, rejecting a hearing officer's recommendation for a lower-level tribunal. When asked whether McCain's comments affected his decision, Abrams replied, "Absolutely not." Under questioning from Helixon, Abrams said he was aware of McCain's comments but disapproved of them. "Making public statements about the disposition of a very high-profile case by anyone is inappropriate," he said. He added that as the court-martial convening authority, he worried his pool of military jurors could be affected by what McCain said. A separate defense motion argues the charges against Bergdahl should be thrown out because of McCain's comments. A spokesman for McCain said the senator would not comment on the pending case. Bergdahl, who is from Hailey, Idaho, walked off his post in Afghanistan in 2009 and wound up a captive of the Taliban and its allies until 2014 when the Obama administration won his release by trading Guantanamo Bay detainees. Bergdahl faces charges of desertion and misbehavior before the enemy, the latter of which carries up to a life sentence. His trial is scheduled for February 2017. Abrams also further explained his role advising Hagel during the Bergdahl recovery efforts. Prosecutors have argued that he played no substantive role. The defense secretary would ask questions about technical aspects of plans to recover Bergdahl, Abrams testified. He said he'd offer a response such as: "Yes, Mr. Secretary, I have reviewed the plan multiple times ... I think it's a sound plan." Lawyers for Bergdahl say Abrams was too closely involved in efforts to recover Bergdahl to oversee the case now. Lt. Col. Frank Rosenblatt, a defense attorney, also argued Abrams has given different explanations of destroying the letters and considering the defense objections in an earlier interview and a written affidavit. "We should not accept Gen. Abrams' self-serving summary that he was not influenced by anyone," Rosenblatt told the judge.